Popsicles were one of my favorite snacks growing up and I see lots of kids eating them today. Unfortunately, the majority of Popsicles are loaded with sugar and far from healthy. Turning the unhealthy into healthy is what I’m all about. 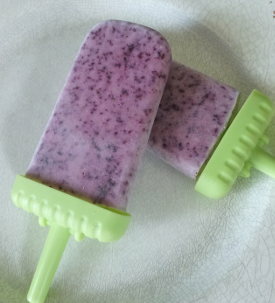 These blueberry yogurt smoothie Popsicles are not only nutritious, but very flavorful and you won’t feel guilty eating them or giving them to your children. 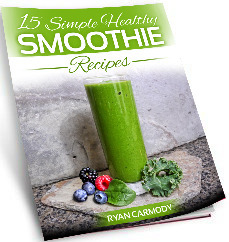 If you like smoothies, oatmeal, and warm things in the winter then you’re going to love this smoothie. 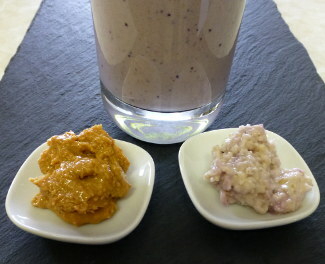 It’s a full-body, creamy, delicious, nutritious, great way to start your day! 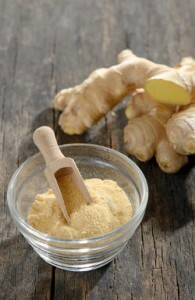 I usually turn to elixirs in the winter because cold smoothies just aren’t that appealing. I’ve been experimenting with warm smoothies lately and this one hit the spot. My first oatmeal smoothie has arrived and it’s a tasty one! It’s also quite nutritious and perfect for breakfast. I’m a creature of habit and for a long time was content eating oatmeal with butter and occasionally a splash of cinnamon. 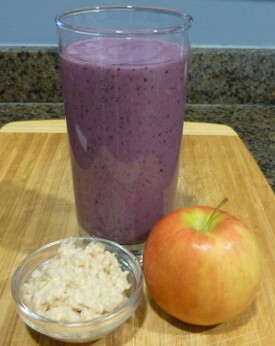 After my recent experiments blending oatmeal with fruit and other goodies that habit has changed. A quick, and important word, about preparing oatmeal for maximum digestion and nutrient assimilation before we get to this delicious recipe. 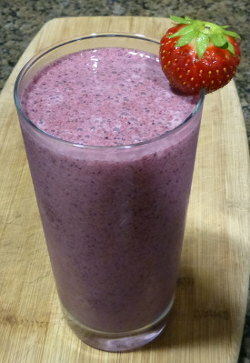 I’m elated to share another spectacular superfood smoothie courtesy of fellow smoothie master, Ana. As a creature of habit who will often make the same smoothie give or take an ingredient for weeks, I wholeheartedly welcome new recipes and ingredient ideas. 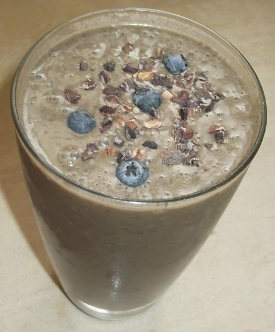 This recipe contains many of my favorite ingredients such as cacao, blueberries, avocado, and spirulina as well as a nutritious new comer that I’d never considered blending.